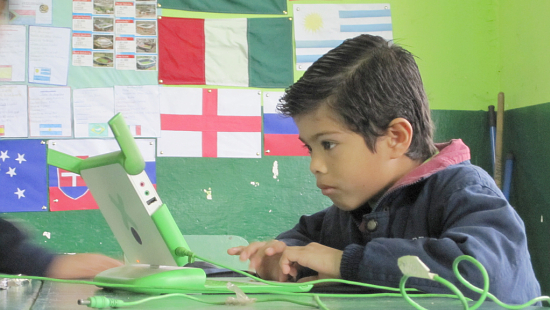 Who Should I Meet with in OLPC Chile, Uruguay, and Brazil? My names is Lars Bo Andersen and I am a PhD student at the University of Aarhus in Denmark. I am doing a ph.d. on IT and development in Africa which is based on an ongoing study of an One Laptop Per Child project in Nigeria. I am currently two years into the project with two years remaining. Next year I am arranging to travel around South America with my girlfriend. I have never been to South America before and I would like to take advantage of the situation and visit people and places with relevance to my academic work so. This is where the OLPC community comes into the picture. Who Should I Meet in OLPC South America? Do you know of any people or places that could/would direct me in the direction of schools using XOs or people with hands on experience, or just people worth paying a visit? We know for certain that we will be travelling through Chile, Uruguay, and Brazil, but we hope to include as many countries as possible in our travel plans. I have no network in South America so I write in the hope that you would guide me towards interesting OLPC contacts in South America. I would be very grateful if you could help me in this regard. You can leave ideas in the comments section below, or email me directly. Thanks in advance for your help. Hi, Lars Bo, regards from Concepción. I'm a college student at 'Universidad del Bío Bío'. I think, in my university a lot of people could be interested in OLPC an the XO's. May be, if you send me an email telling us about your project, i could show them to my teachers and we could make you some contacts. Agh, que mal suerte, I just left Chile and went into Argentine. But I am grateful for you offering to help me in Conception, and it would have been a nice to visit your university, maybe I will have the opportunity another time! The OLPC community (or just those interested in IT and learning)in South America indeed are friendly, helpful, and an intelligent bunch. So cheers to all of you! I am doing my research for my master thesis at the Institute of Education in London comparing the use of the XO at home and the school in Uruguay. I know quite a few people here that you might like to meet depending what you looking for. Thank you for your reply. That sounds really wonderful. I am simply interested in experiences learned when implementing the Plan Ceibal. Low-tech, everyday, mundane, experiences. Great visions and technological praises I can get from the media :-) Maybe you can post some names here or, perhaps, to protect their privacy send me a mail at [email protected]? P.S. If I could read your thesis when you are done I would be very grateful. Sounds like very interesting (and valuable) work!